Having a dental emergency can be scary. But knowing what to do may help relieve some of your anxiety. 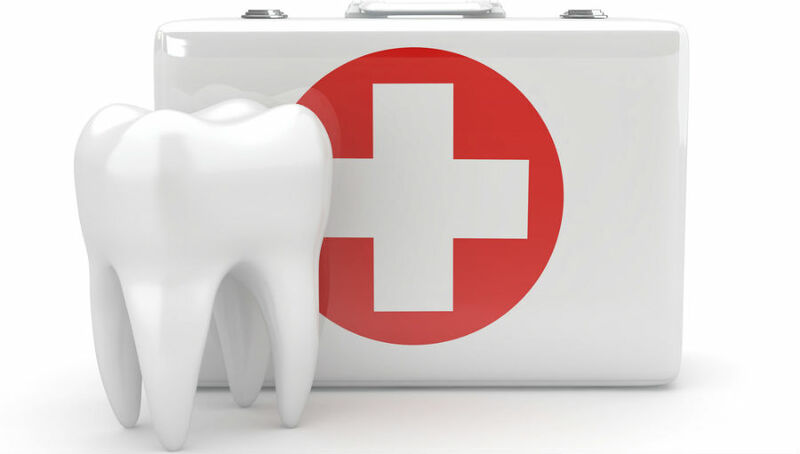 Here are some general guidelines to follow for common dental emergencies. Take an over-the counter pain reliever, such as acetaminophen. Gently rub your tooth and gum area with an antiseptic that contains benzocaine. Place a cold compress on your cheek to help reduce pain and swelling. Do not put heat or aspirin on the sore area. Make an appointment with your dental professional as soon as possible. If a child’s primary tooth gets knocked out, apply pressure to the area if there is bleeding. Call your child’s dental professional as soon as possible. If a permanent tooth gets knocked out, locate the tooth, if possible, and rinse it gently in cold water. Do not scrub it or remove any tissue pieces. If you are able, place the tooth back into the socket and hold it in place. If this cannot be done, place the tooth in a clean holder with milk, water, or saliva and go to your dental professional’s office or hospital emergency room right away. There is a chance that the tooth can be saved if treatment is immediate. For a broken or chipped tooth, rinse your mouth with warm water and put cold compresses on the area to help reduce swelling. Go to your dental professional’s office as soon as possible. If you can locate the piece of tooth, bring it with you. Immediate treatment can help prevent infection and may help save the tooth. If you bite your tongue or lip, wash the area gently and place a cold compress on the area to reduce any swelling. If the area is bleeding and won’t stop, head to the nearest hospital emergency room. Wear a mouthguard during sports activities. Encourage your children and family members to do the same. Always use a seatbelt while driving or riding in a car. Place young children in a car seat. Childproof your home to help prevent falls and other injuries. Schedule regular dental visits for everyone in your family.